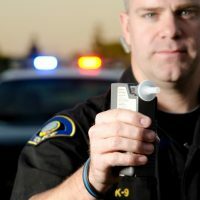 5 Reasons Not to Take a Breath Test | Yavitch & Palmer Co., L.P.A. This isn’t high school anymore. We all recall sitting down in school to take a test knowing we didn’t study. Maybe we were sick. Maybe we forgot. Or maybe we were just too cool for school and blew it off (no breath-test pun intended). But we didn’t have a choice. We had to take the test knowing the results probably would be bad. As adults, we most likely wouldn’t volunteer for a test we knew we couldn’t pass. An art-history major wouldn’t likely sit for the CPA exam. And a CPA probably wouldn’t volunteer to take the real-estate-license exam. At least not without studying first. So why take a breath test if you can’t pass? In Ohio (and most other states), that means your BAC is above .08. The trick is knowing you can’t pass. Had 10 beers? You probably can’t pass. Knocked back five shots of tequila? Probably can’t pass. Think you feel fine? You probably aren’t. It’s a harder decision after only two glasses of wine at dinner. But most of the time people who are fine are going to look fine, drive fine, and act fine. They aren’t the ones getting asked to take the test. 2.) In Ohio we can’t challenge the machine. For the most part, Ohio still operates under the Ohio Supreme Court case of State v. Vega. In simple terms, this case says that breath machines are presumed to be reliable, because the Ohio Director of Health says so. And because of that, a defendant charged with OVI can’t go into court and argue to the jury that the BAC machines are generally unreliable and might have produced an erroneously high test result. Is it really true that machines are reliable? Lots of debate there, but experts can give all sorts of reasons why machines can screw up (that’s another topic altogether). But in Ohio, it doesn’t matter. The court says they work, so they work. When we are faced with a BAC case in Ohio, the OVI attorney’s job is that much harder. Short of some technical flaw in the maintenance records, calibration checks, or record keeping, we are hamstrung by Vega. The case is still not impossible, it just gets that much harder. 3.) There will be no per se charge. There are two ways to get charged with OVI in Ohio. The first is the old-fashioned impaired violation under Ohio Revised Code 4511.19(A)(1)(a). Here, the prosecutors have to prove you were “appreciably impaired” or under the influence of alcohol or drugs. Your demeanor, attitude, appearance, etc. are important. The second way to get charged is a per se violation under Ohio Revised Code 4511.19(A)(1)(b)-(i). This is much easier for the prosecutor. If you were driving and have a prohibited blood, breath, or urine alcohol content, then it’s a crime. It’s really that simple. And, worse yet, if you have a breath alcohol content of .17 or above, there’s an additional parade of horrible consequences that could come your way, including an extra three days in jail, yellow “party plates,” and an interlock device attached to your car’s ignition. So, here’s how it works. If there is a breath test, you will be charged with both the impaired and the per se violations. The court can convict you of both, but the penalties are the same. If nothing else, one charge is better than two. And more to the point, breath-test cases are harder to defend. With a breath test, we can’t challenge the machine’s general reliability in front of jury (remember State v. Vega). No breath test, no per se charge. And, perhaps most significantly, no chance of .17 high test awfulness. Lawyers cost money — especially the good ones. And the more work we have to do, the more expensive it gets. Breath-test cases require more work. We have to look at breath-test maintenance records, repair records, and calibration records. We often need to engage an expert to help evaluate the machine and whether it properly measured your BAC. It’s more work, more time, and more expensive. 5.) The license suspension will probably end up the same. Most people decide to take the breath test because the cops talk them into it. They say “most people take it.” Or you might hear them tell you “it usually works out better when you cooperate by taking the test.” They even will tell you they will “put in a good word to the prosecutor because you cooperated.” Then comes the grand finale — they read you the BMV Form 2255. Using a bunch of ridiculous legal mumbo jumbo, this form tells the unwitting suspect that if he or she doesn’t take the test, it will be a refusal and they will get a one-year Administrative License Suspension (ALS). If you cooperate, they say, and take the test, you will only get a 90-day ALS. Well, that seems to make perfect sense. Why would anyone ever refuse if they are going to get one year vs. 90 days? But what the cops don’t tell you (and what Form 2255 doesn’t say) is that if you go to court and plead guilty, the ALS will likely terminate and the court will impose its own 180-day suspension. That’s right. The court will give a completely different suspension, back-date it to the date of your OVI arrest, and send you on your way with a minimum 180 days of suspension (typically with limited privileges). So, the dreaded one-year ALS smashes and becomes 180 days. And the highly touted 90-day ALS smashes and increases to 180 days. The 2255 is a shell game that helps the cops talk you into taking the test. This clearly isn’t the definitive work on breath testing. But it’s a good thumbnail sketch of the practical consequences of breath tests in Ohio. If at all possible, it’s best to get advice from an experienced OVI/DUI attorney before making the decision to take the test. There’s a lot to consider. And in some circumstances, like when there are prior OVI convictions, it might be a separate crime to refuse the test. There’s no substitute for good legal advice. Most officers will let you make a call before making the final decision. That’s why it’s best to have the name and number of your attorney in advance, preferably someone who’s available live 24/7. To get in touch with a lawyer at Yavitch & Palmer, head to our contact form.